Just a quick rumour board update summarizing the latest names entering the rumour mill and others that are seeing their trade percentages moving up or down. It's important to remind readers that the trade percentage assigned to each player is not their odds of being moved before the March 1st deadline. Rather, the number is the odds that the player is traded in the next year. For example, Marc-Andre Fleury's trade odds are at a strong 75%. It's probably more like 55/45 whether the Penguins move him before the deadline, but the likelihood he's moved in the next year or so is quite high at 75%. Tyler Johnson debuts on the board at 20% with his name emerging in rumours. The Lightning don't have enough cap space and their struggles this season makes them a possible deadline seller. Mike Ribeiro debuts at 30% following his trade request made last week. 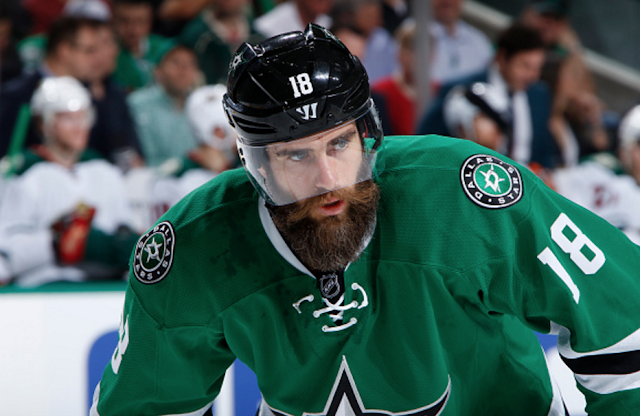 Patrick Sharp rises to 40% and Patrick Eaves makes his debut at 25% as the Stars stumble and vultures begin to circle. We wrote about the reports that Vancouver were looking to swap a defenseman for a forward - and it sounds like Ben Hutton is emerging as the most likely candidate. He makes his debut at 30%. Jacob Trouba slips a bit to 55%. Although he's likely to move at some point, the injury to Tyler Myers probably stalls this until at least summer. There's always a chance the two sides mend fences, as was with Jonathan Drouin and the Lightning. Marc Methot down to 25% after rumours suggest he will be protected in the expansion draft. Defensive prospect Paul LaDue debuts at 30% following reports that the Kings may use him as deadline trade bait. Ryan Miller bumped up to 50% as the Canucks falter and rumours get rekindled. 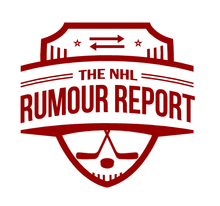 Check out all 185 players on the trade rumour board!